Citing the report released by Inquirer today that the Commission on Election (COMELEC) is planning to resolve the pending appeal on the disqualification cases against presidential candidate Rodrigo “Digong” Duterte. Many Netizens got panic when they saw first the title of the report saying "Comelec rethinks DQ case vs Digong." But eventually the article's title was changed into "Comelec to resolve DQ case against Digong." Netizens took their account on the social news networking site 'Reddit' and said, "My hatred for Duterte is well chronicled but c'mon. It's over. Let's move on," by decadentrebel. "exactly, I guess we just have to see. Plus, this will just serve as more fire to fuel the flames for the hate for the LP, since they could reason that if they DQ Duterte then Roxas can take the spot. (stupid reasoning but thats what people are suspecting now...urgh..)," said by lunchboxeseverywhere. "What I got from the actual press conference is that someone asked Bautista the question regarding the DQ case/ruling, and he was answering. The headline makes it sound like COMELEC is bringing up the issue out of the blue," gradenko_2000 said. But the news editor already change it and said, "The original newspaper headline has been reedited for greater clarity." 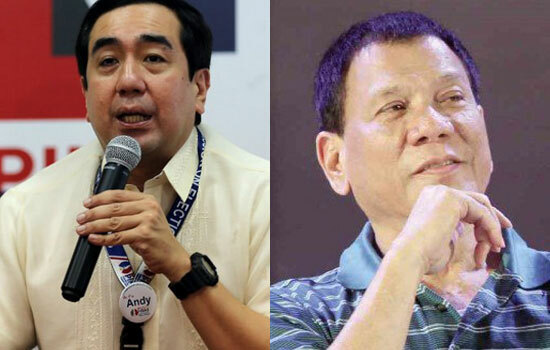 According to Comelec Chair Andres Bautista said the poll body may consider the mandate given by the electorate to Rodrigo “Digong” Duterte in resolving the pending appeal on the disqualification cases against him. When he was asked if the pending DQ cases against Duterte could already be considered unsettled and academic now that he was the apparent winner in the presidential polls. He said, "We will study that, but of course, we know that we also have to respect the mandate given to him by the people." "That (case) has been raffled to a ponente. I guess we (the Commission en banc) need to discuss what to do," he added. He was asked again why it took a long time for the Commission to deliberate on Duterte’s case, Bautista said, "We had to rush almost everything." "It’s difficult to run an election, then we still have to decide on cases, so we apologize if the resolutions of some cases were delayed," he said. What do you think on the COMELEC decision against Duterte's peding DQ case? Share yout thoughts below. Comments or suggestions about "COMELEC is bringing up the Duterte's DQ case out of nowhere" is important to us, you may share it by using the comment box below.